What can happen in 90 days? 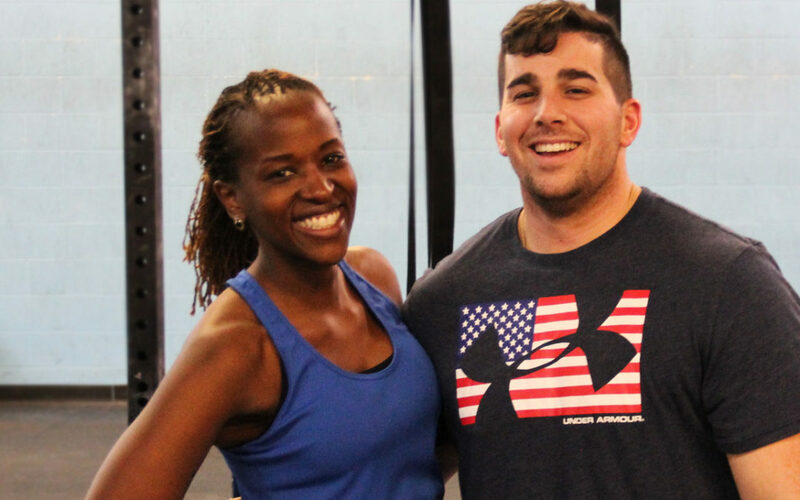 At CrossFit 1Force, a whole hell of a lot. If you are looking to make positive changes before the the 4th of July holiday, we are looking for you. Our 90-Day Special includes three months of membership for $350. That includes unlimited fitness classes, a nutrition challenge, lifestyle counseling and incredible team support— the last of which could be the most important. The hardest part is walking through the door. (We will take care of the rest.) This special is for new members only and delivers a total savings of $130. As always, you can try before you buy. Email erin@crossfit1force.com to schedule a free class to see what 1Force is all about. 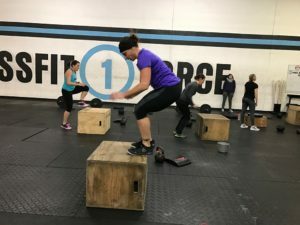 At 1Force, we don’t have mirrors, treadmills or weight lifting machines. There’s barbells to lift, boxes to jump on and sandbags to move. If you are thinking you have to be fit to CrossFit, then you are WRONG. All of the movements we do replicate the patterns most used in everyday life and anyone can do it. We do some pretty fun stuff at 1Force. It’s kind of like recess. We run, jump, flip tires, swing kettlebells and push heavy loads for short distances. We hurl medicine balls in the air. We safely put weight over our heads and aggressively pull it off the floor. And we squat. A lot. Everyday is different, but 1 thing remains the same. WE ALWAYS HAVE FUN. Our experienced 1Force Coaching staff is committed to your wellness goals. We train as a group, and each workout is scaled to athlete’s individual ability. The elite athlete works out next to the mother-to-be and the absolute beginner. Classes are just one hour and include warm up, strength and conditioning. You are guided and coached every step of the way. No one is ever left behind. The special must be paid in full prior to starting. Your membership will last 90 days from the day you begin. The special will only be available until April 12. There are no contracts to sign and no refunds. No one ever says, “I’m so glad I waited.” So don’t! Please email erin@crossfit1force.com with any questions or to reserve your 90-Day Special. Think about it like this–if you get 1% better each day, in 90 days you will be 90% better. Small steps toward a BIG goal are manageable, sustainable and attainable. This place can change you, if you let it!